2016 is nearly over and I can’t believe how fast this year has gone. 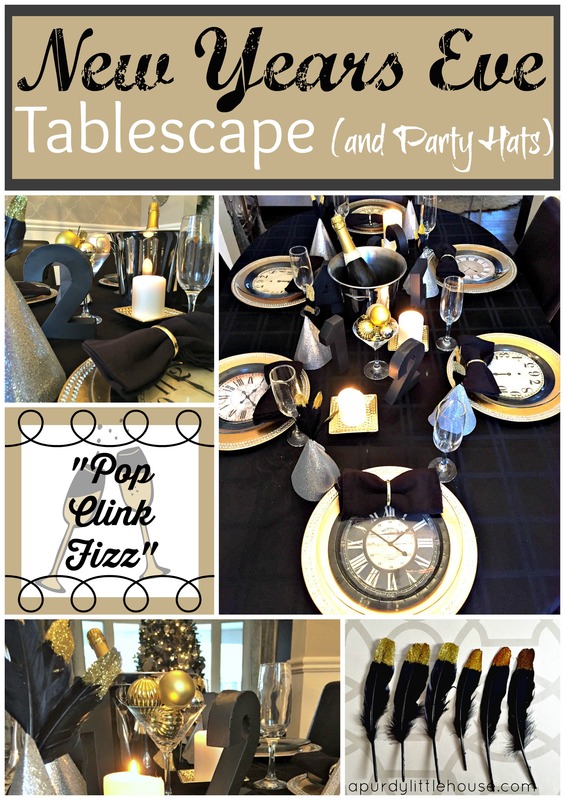 For this post, I’m going to show you how I put together this fun New Years Eve Tablescape and Party Hats. 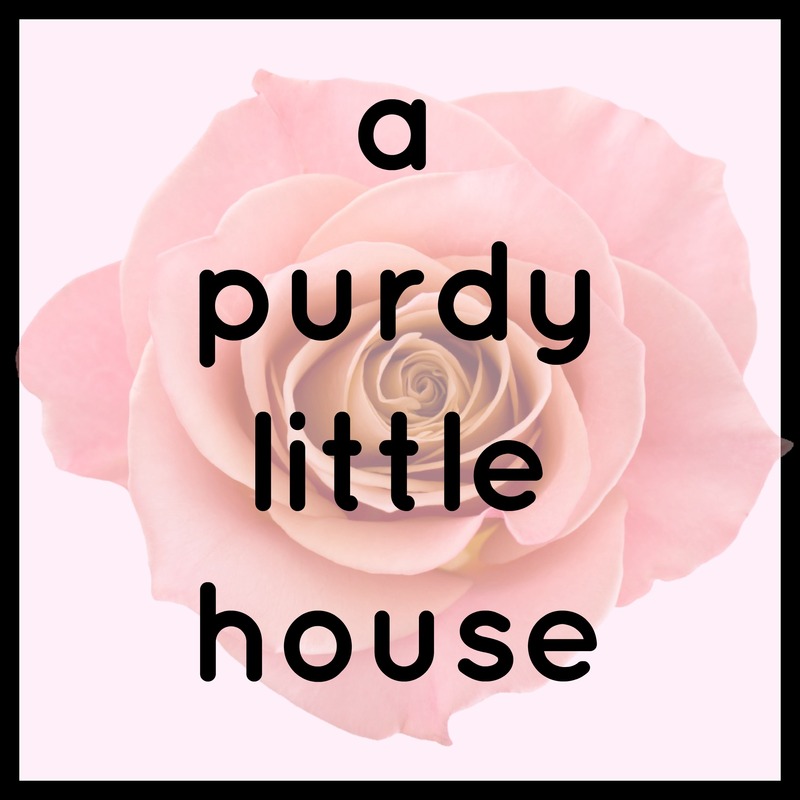 While I don’t have any huge plans for New Year’s Eve (I’m the type of party animal that likes to watch tv and eat cookie dough…lol) I’m going to be ringing in 2017 at home with family. 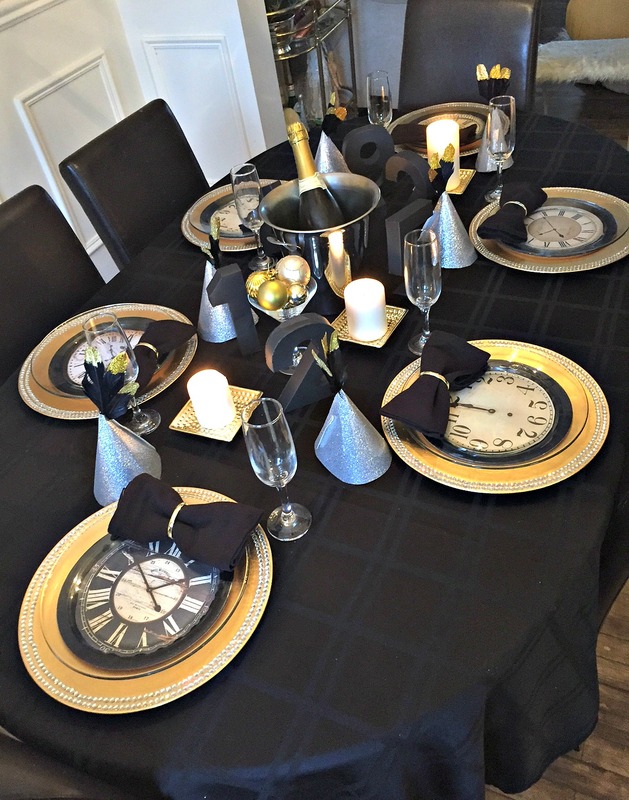 We usually do appetizers for dinner and munch on goodies all evening long while watching the Times Square Ball Drop. 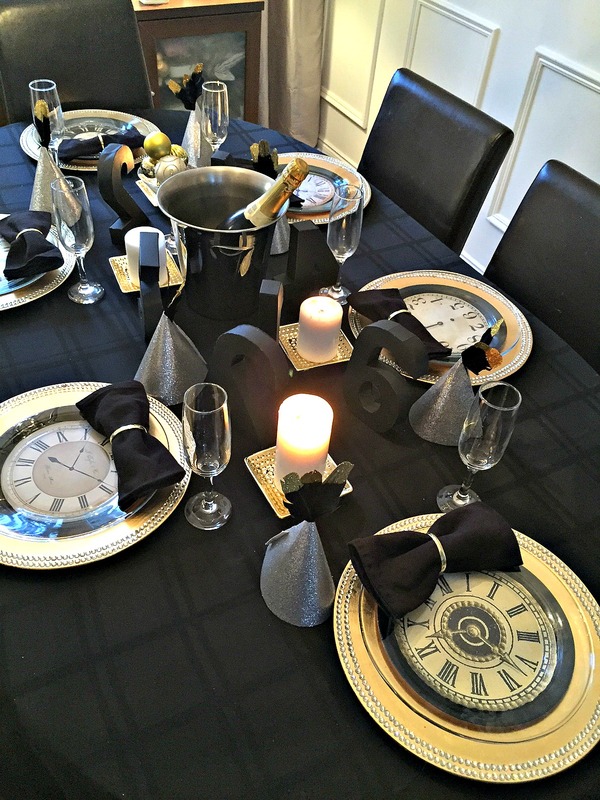 So, this year, my New Years Eve Tablescape and Party Hats are especially important so that we can all gather around together and enjoy the celebration. 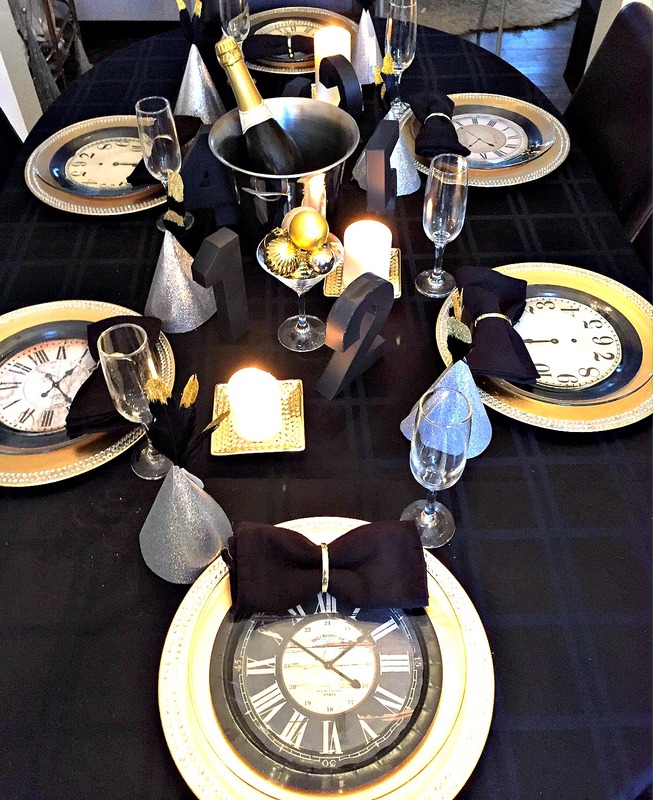 When I think of New Years Eve, I think of celebrating. I also think of glam, black tie and glitz. 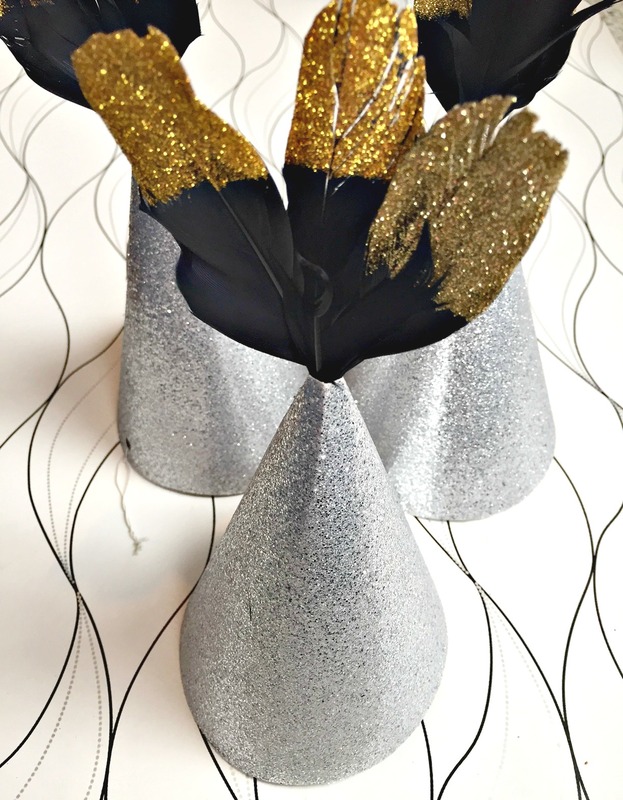 So, I decided to create these fun New Years Eve Party Hats to help ring in the new year, using black goose feathers, glue and ombre glitter from the dollar store. 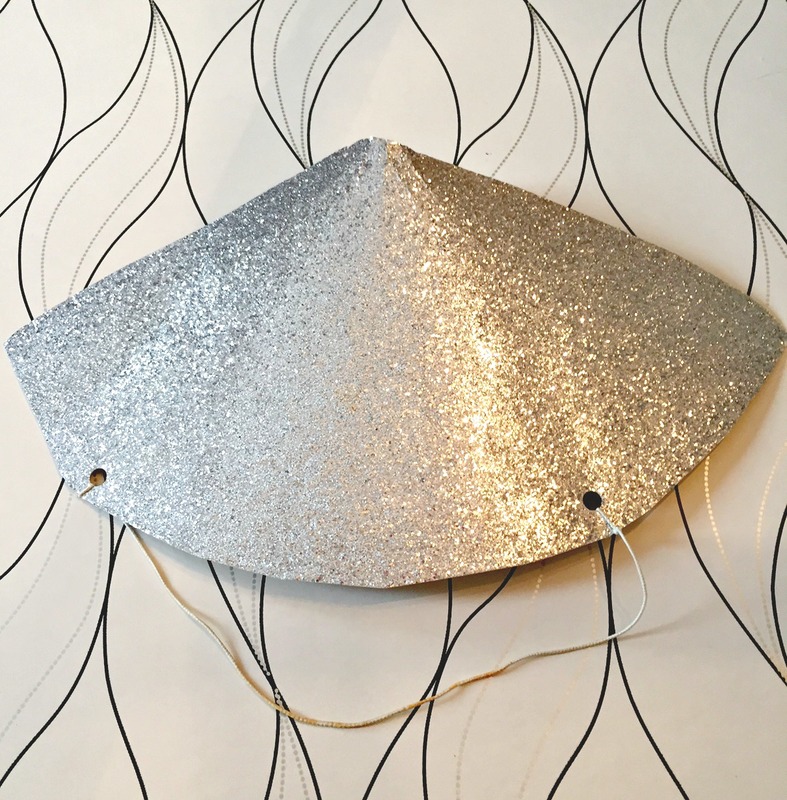 I started off with a typical paper birthday hat, which I removed the elastic from and traced the shape onto my glittery silver scrapbook paper. I cut it out into the shape of a party hat and then attached the elastic band to the bottom. I punched holes in mine so that I could tie the elastic to the hat, instead of just taping it. I then rolled the hats into their cone shape and taped them in place. I also stapled the bottom of them, just to give them some extra strength to help hold them in place. 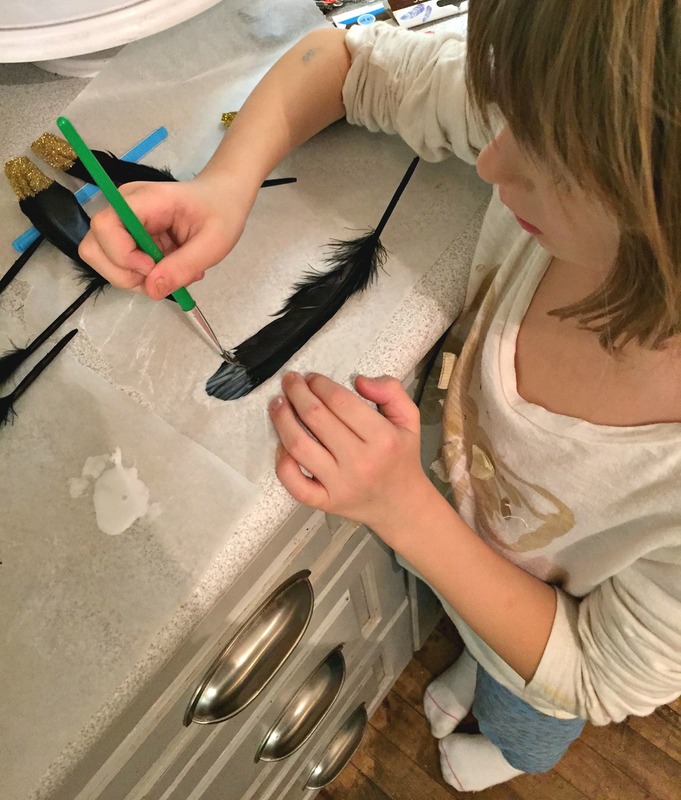 The last step is adding the feathers. 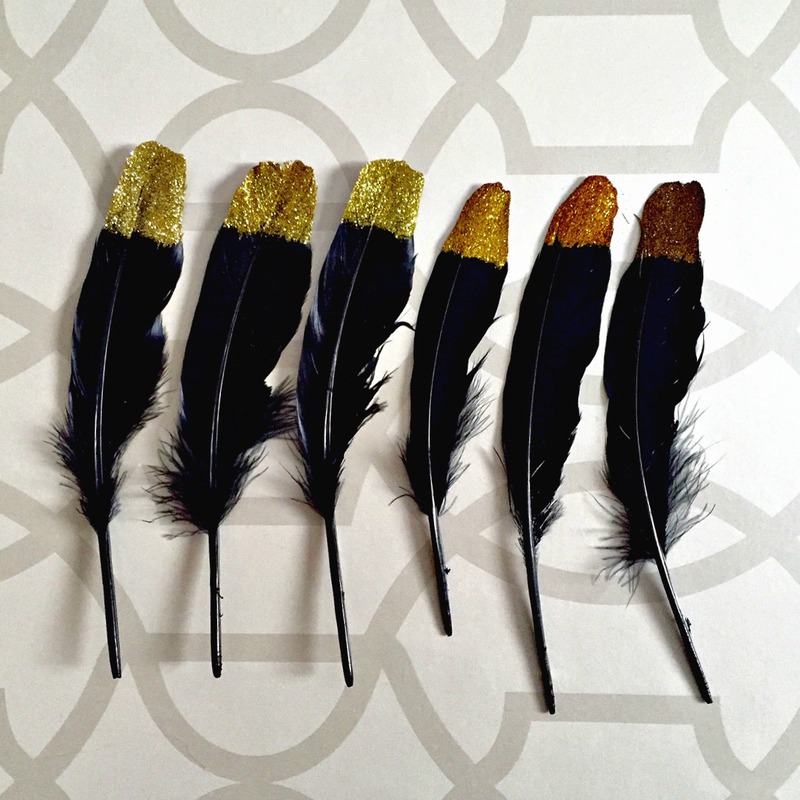 I tried some different colour options, but I ended up going with some black glittery feathers in the end. So, voila! 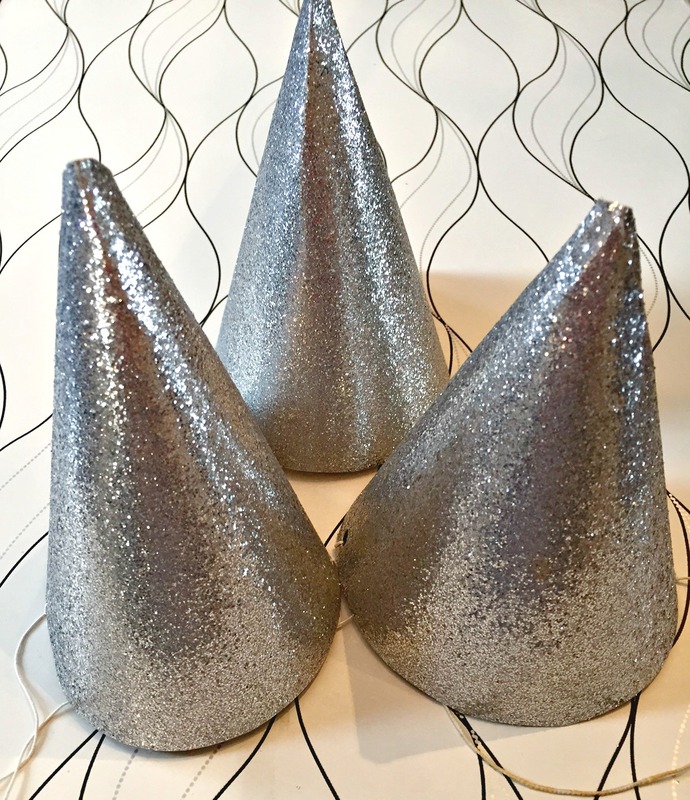 Customized party hats!!! So fun, right? 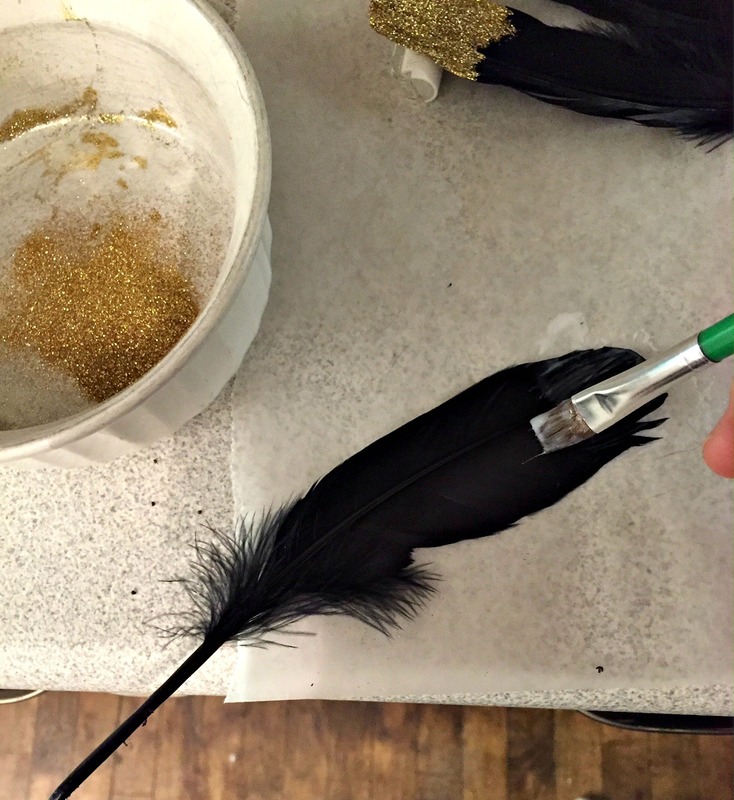 For my feathers, I put down some wax paper and then put glue on the tips of the feathers using a small paint brush. I just simple white glue for this step. This step is so simple, even the kids can join in on the fun. 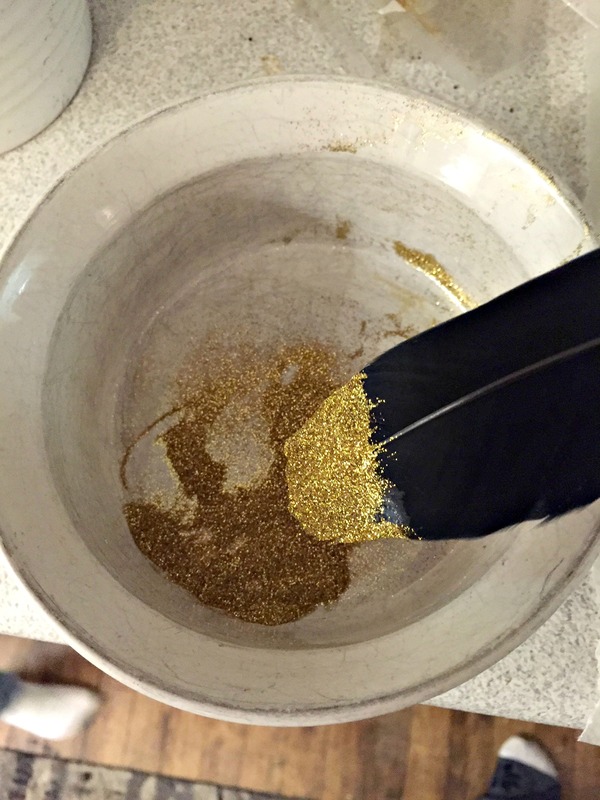 Next, you simply dip the tip of the feather in the glitter and then lay it on your wax paper to fully dry. 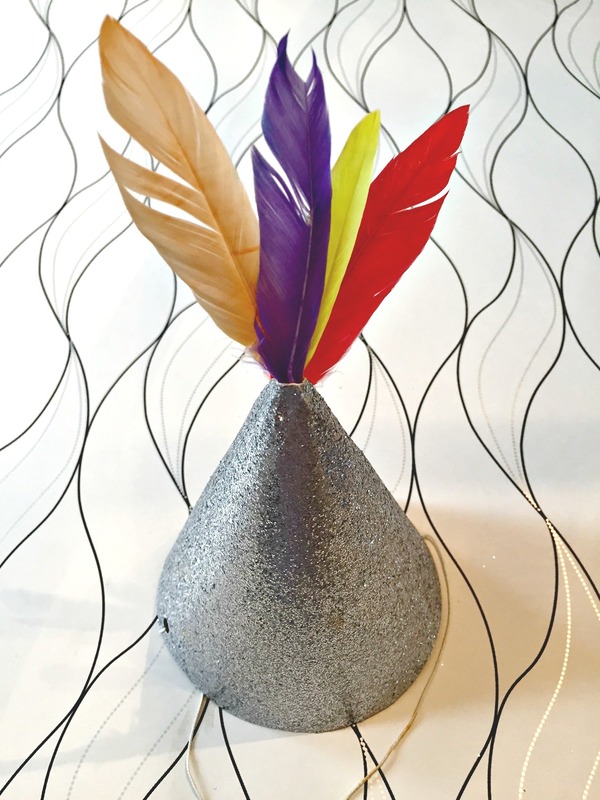 I propped my feathers up on a thick marker, so that both sides would fully dry with a the glitter in place. 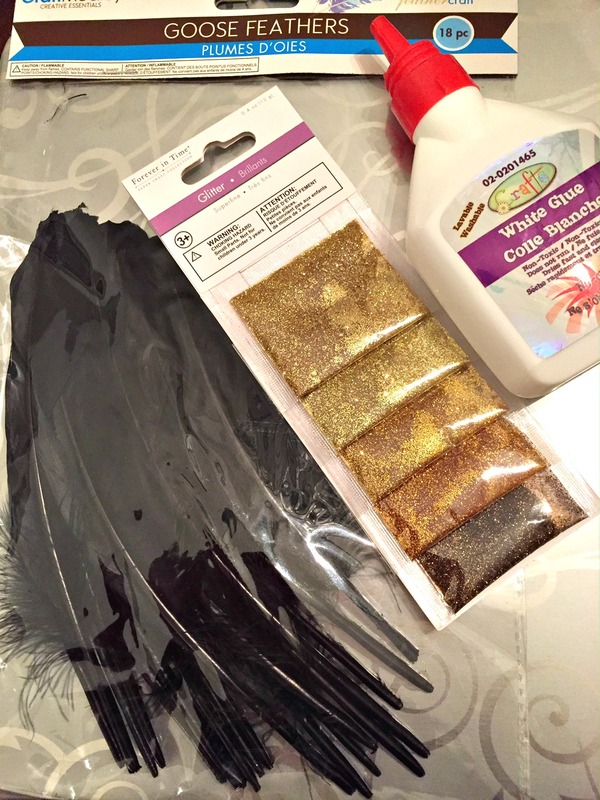 I used different coloured glitter for my feathers to create an ombre look. 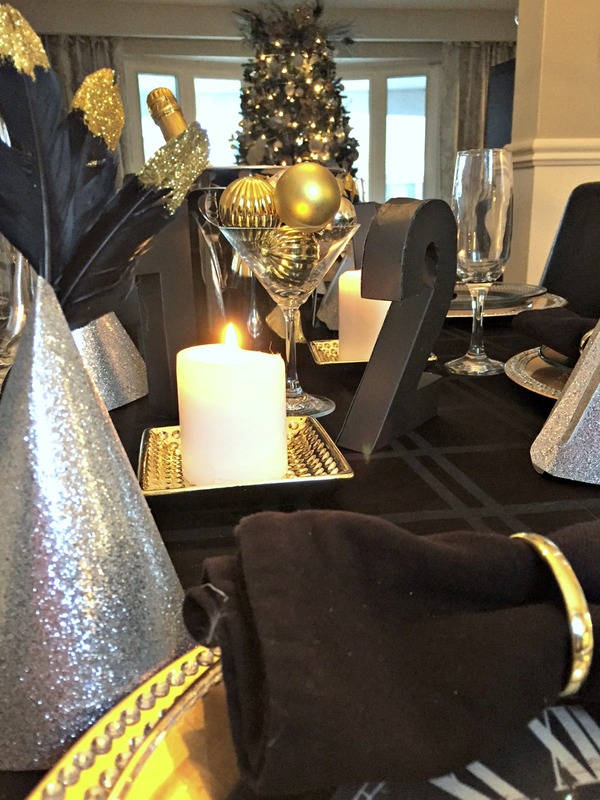 The next step was adding the feathers to the hats and placing them at everyone’s table settings. 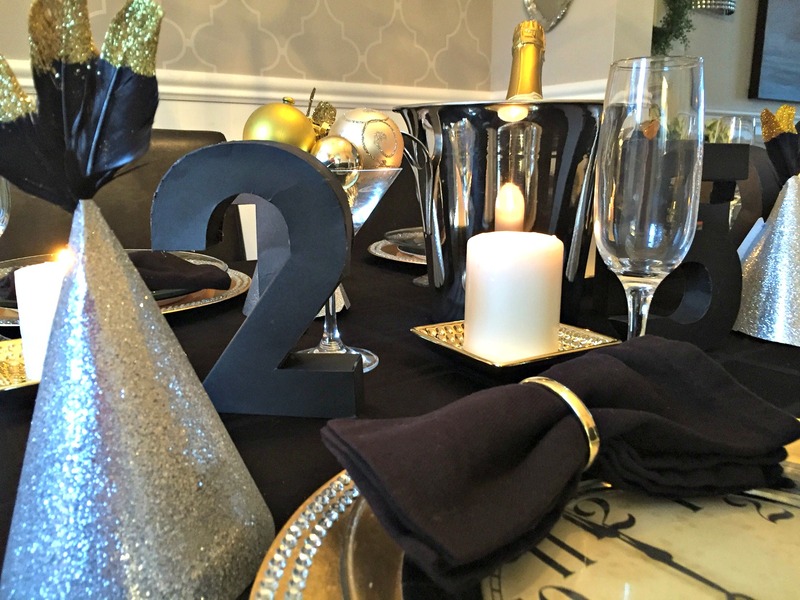 For this table, I went formal with a black tablecloth, gold chargers and fun little cardboard numbers I found at the dollar store. They were a pain in the @ss to assemble, but I do like how they look on the table for the countdown to midnight. 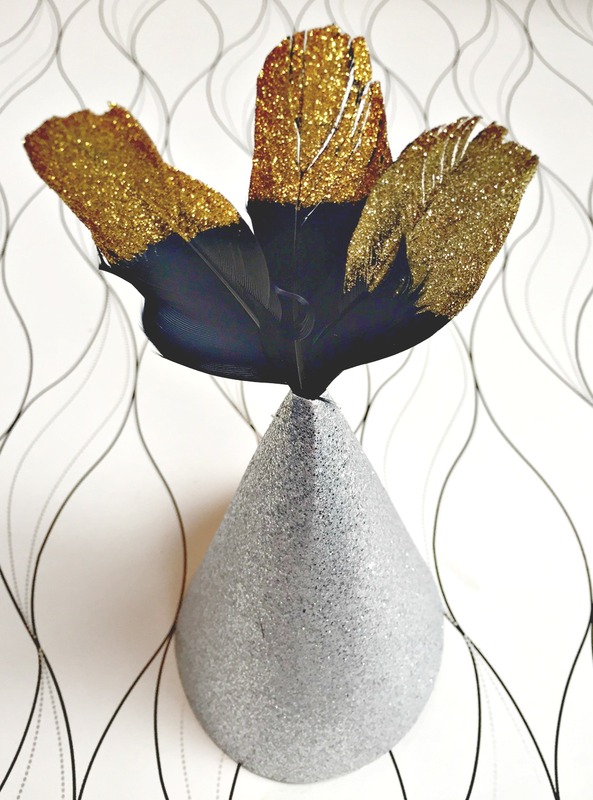 I added some gold and silver ornaments to a martini glass to help tie it all together. May 2017 bring you all the best for you and your family… now let’s pop some champagne!!! Thank you so much Michele. 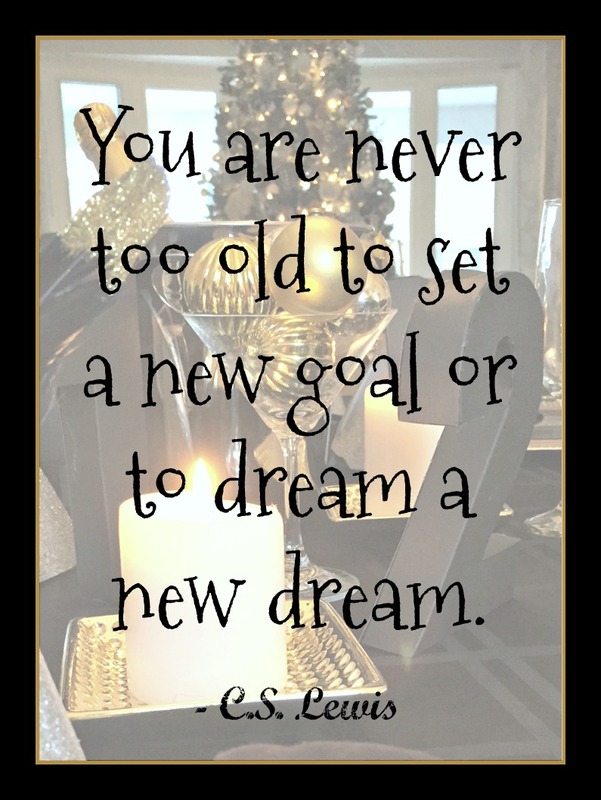 I hope you have a wonderful New Year’s Eve party and I wish you all the best in 2017!! !